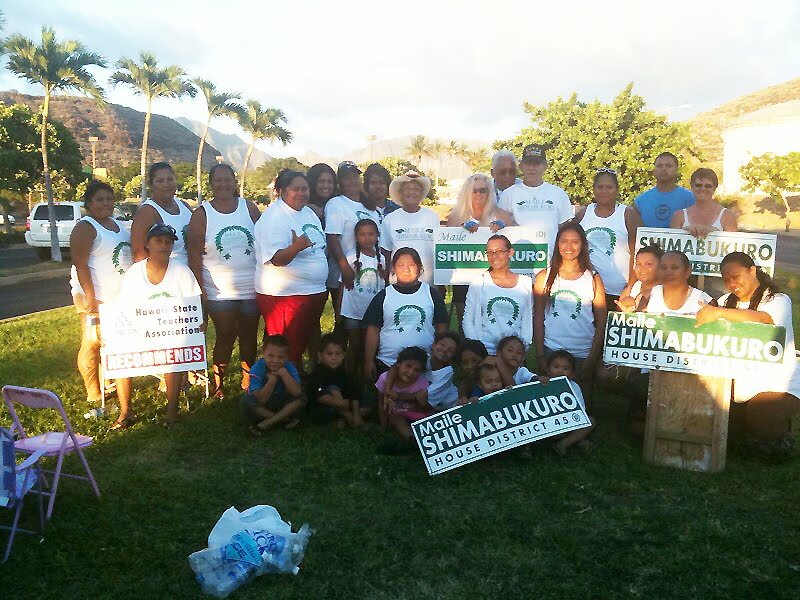 Mahalo to Sep 17 Sign Wavers! Sign Wavers Group Photo from 9-17-10. Click the photo to zoom in. Back row, L-R: Kyra Soria, Amberly Lester-Piimauna, Lou Stineman, Nancyann Micky, Tiare Paaoao, Wai Paaoao, Tayzah Ayala, Chyna Micky, Puna Ka`aiali`i-Ramos, Cathy Outland, Art Frank, Brooks Outland, Lima Kupau, Sabio Paaoao, and Emerin Micky. 2nd row (kneeling) L-R: Kapilialoha Stineman, Manulani Paaoao, Desiree Paaoao, Chantel Wordean, Sarah Paaoao, and Virginia Piimauna. Front row, L-R: Kaleikaumaka, Kamakanaikawai & Kahanulani Piimauna, Mahealani Paaoao, Catalina Gaballo, Brennan, Mahina Paaoao, and Jheyden Piimauna-Micky. The following photos of 9-17-10 Sign Wavers are from Cathy Outland.